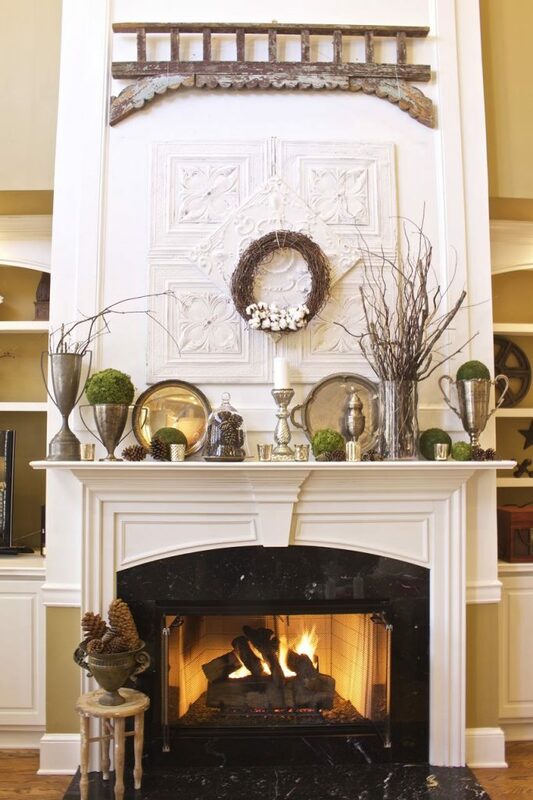 Hey y’all…My fireplace mantel has been barren since all of the holiday decor was packed away. I had left it totally void of any anything on the shelf, and just couldn’t stand any longer. So…I’ve just completed a quick update. 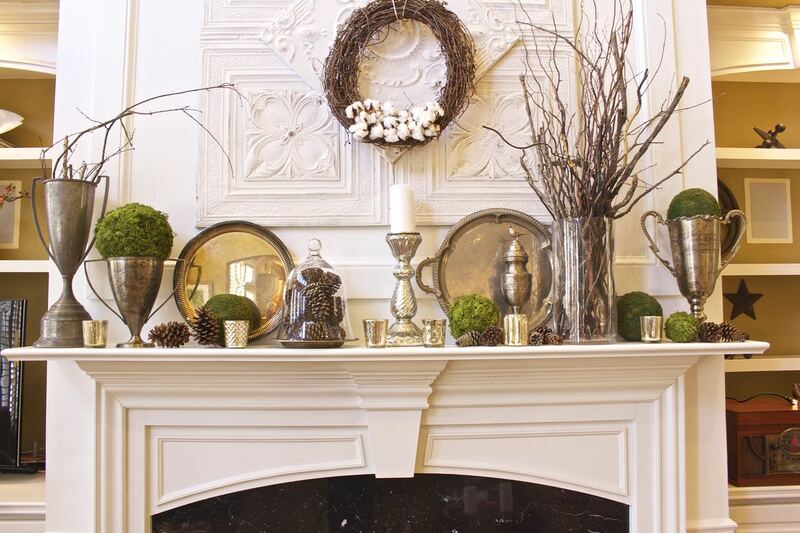 I really liked how the mantel looked at Christmastime, so I decided to use a lot of the same elements. 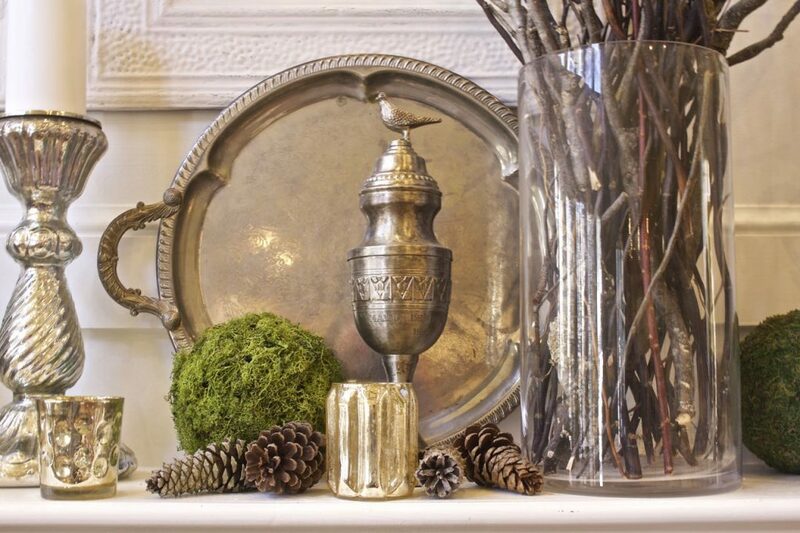 The silver and mercury glass are a perfect Winter decor favorite of mine. 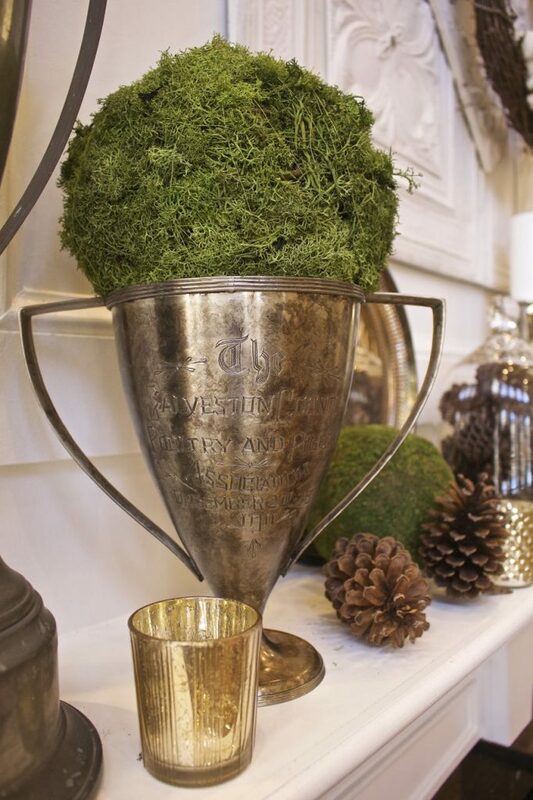 And y’all know I love bright green moss too. Fresh moss grows year-round…even in the Winter in my area of Georgia. 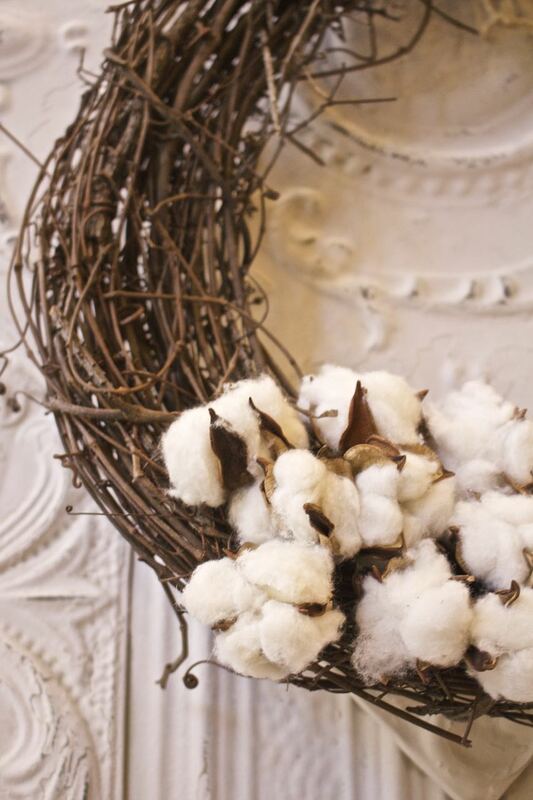 This cotton boll wreath was made in a flash. I just added the cotton to a grapevine wreath and hung it above the mantel. 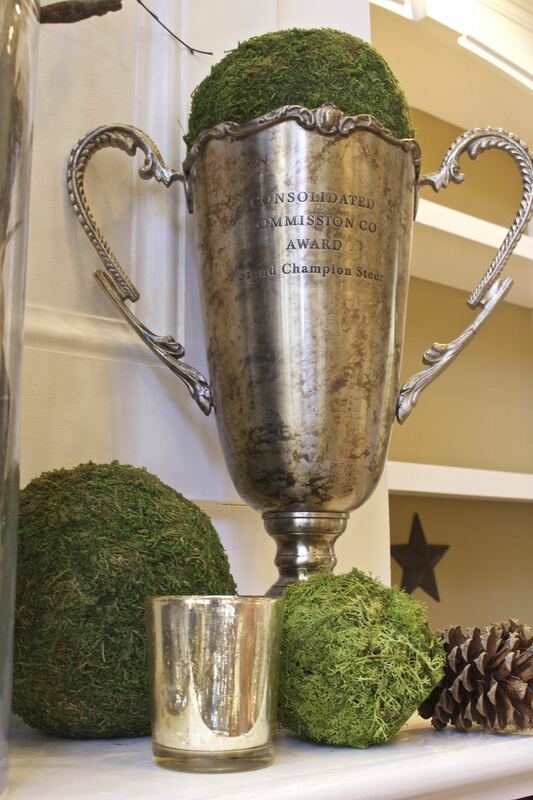 I added silver platters to mix in with the vintage trophies and mercury glass. 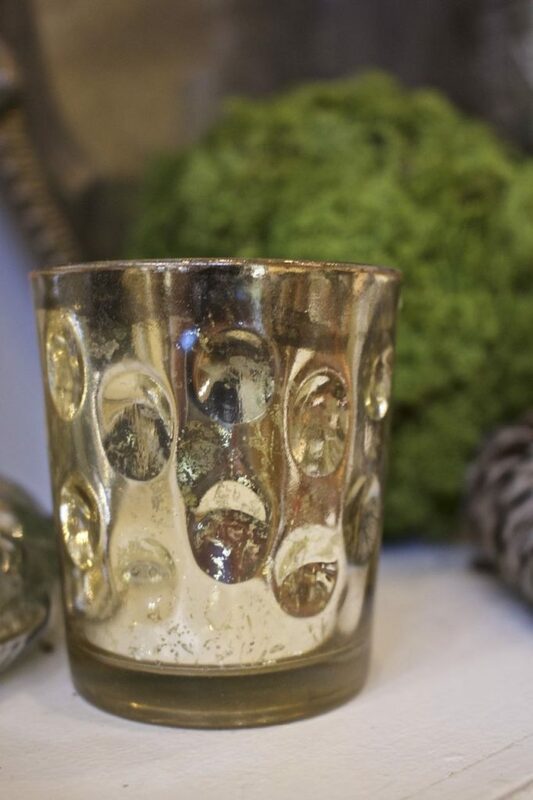 I was fortunate to score this set of six oversized mercury glass votives. I bought them on clearance after Christmas at TJ Maxx for $4.00. It’s so much nicer to gaze at the roaring fire and see the shimmering glass on the mantel. 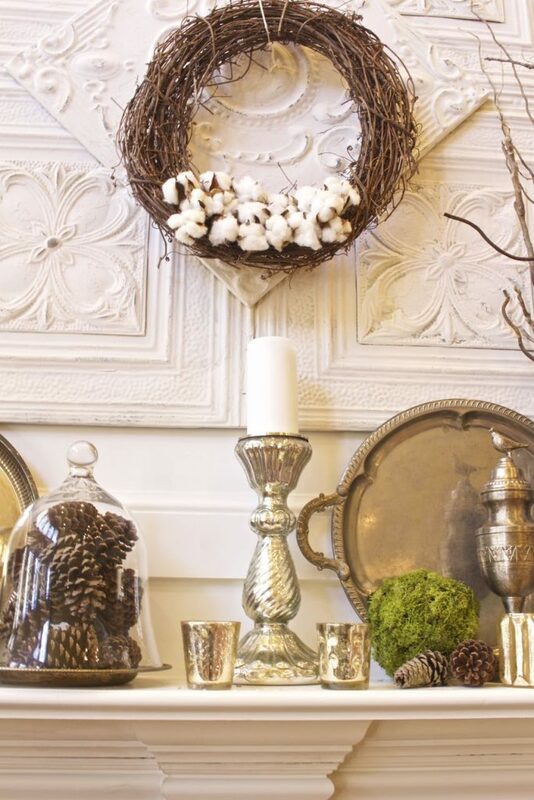 The wintery mix of silver, pinecones and branches make me appreciate the season and all it has to offer. 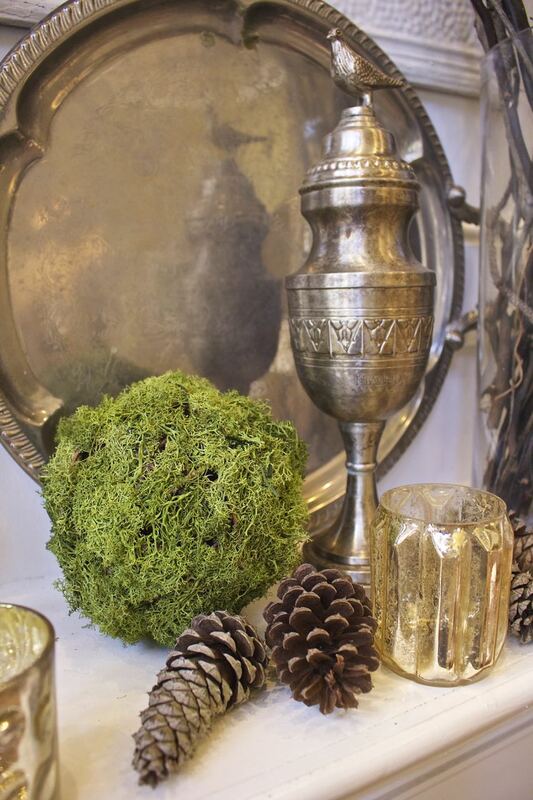 I love the mix of the silver with the pinecones and moss along with the other natural elements. The mantel looks elegant with a touch of a natural vibe. Love this!! My mantel is still barren also 🙁 This gives me an idea. 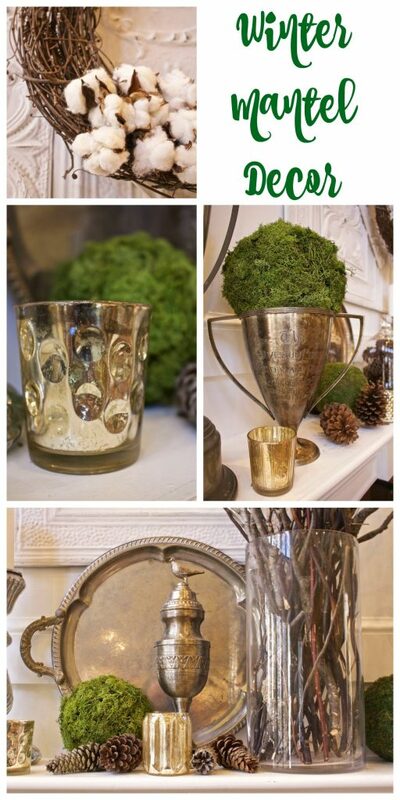 I love mercury glass and have tons scattered through out the house. You have given me a great idea. Thank you.